This entry was posted in Occasion and tagged Christmas greeting on December 26, 2017 by Yami. When it comes to romance, Paris has all other cities beat. With it’s quaint cafes and the stunning Eiffel Tower in the backdrop,, it’s no surprise that this beautiful city is a favorite destination for couples. Paris prides itself in being a destination for love and rightly so. In the past, couples ensured their love is eternal by securing a padlock with their names on Parisian bridges. From sailing down the Seine River to going up the Eiffel Tower to explore the city lights, there are so many opportunities to feel in love. Whether you’re taking a flight from New York to Paris or from a different destination, Paris is very accessible from many locations across the world. Being such a popular destination, there are hundreds of flights landing and leaving Paris on the daily, and many of them offer direct flights. Even flights from afar, like a flight from Los Angeles to Paris, are direct which means travelers from across the world can hop on a plane and enjoy a few days in Paris without worrying about the flight duration. Prices are also fair and can be found at lower prices than closer destinations. French cuisine is well-known as one of the most stunning examples of culinary art, along with their exquisite tastes catering to refined palates. Cafes, sweet shops and bakeries line the streets of Paris, each with delicious offerings of traditional French pastries, sweets and meals. You can’t go wrong with Parisian food! The lights, noise and activity can be overwhelming for those who don’t enjoy the big city. Paris offers an escape from the asphalt jungle with their beautiful gardens. Architects and botanists have come together to create tens of relaxing gardens with monuments and features like glasshouses, mazes and small zoos. Botanical gardens in Paris display these classic French and European designs along with lovely arrangements of flowers and plants. If you seek a short escape from the city, you can take a train to Versailles to see the palace’s stunning and expansive gardens. Paris is a large city with a rich history. Whether you’re interested in museums, art, or architecture, you can find all variety of activities and places of entertainment. It’s difficult to get bored in Paris; they offer everything a tourist could desire. Go shopping at the famous Champ de Elysee, picnic at the garden outlooking the Eiffel Tower and its adorned golden lights, or attend one of its many festivals. Cultural life is at its peak in Paris and their museums are world renown for their notable offerings. The city of love has much to offer its visitors — make sure to enjoy this wonderful destination! This entry was posted in Dream Place, Places to visit, Tourists destination, Travel, Travel tips and tagged experience Paris, Paris, places to visit in Paris, the city of love, what to see in Paris on October 22, 2017 by Yami. This is one of the many unforgettable photos taken at Villa Escudero a few years back. 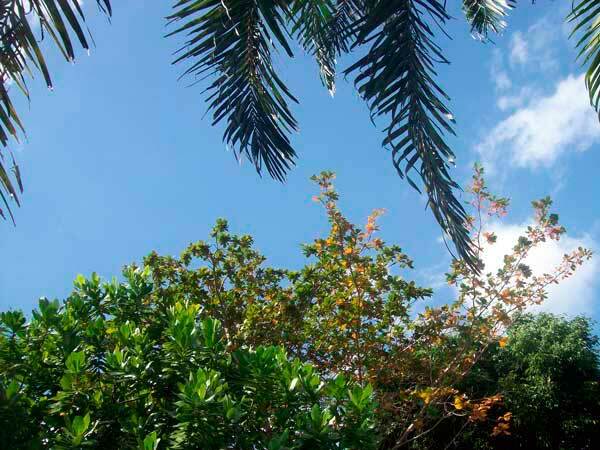 This entry was posted in Villa Escudero and tagged blue sky, lush green plants, sunny blue sky on September 5, 2017 by Yami.